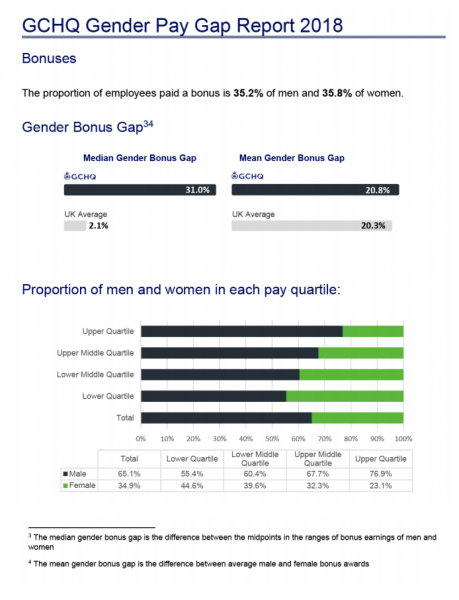 USPA NEWS - What is the Gender Pay Gap? The gender pay gap is an equality measure that shows the difference in average earnings between women and men. 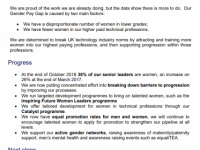 The UK gender pay gap is at its lowest level ever - just over 18 per cent. 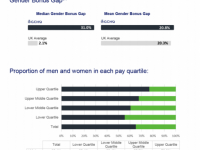 The gender pay gap does not show differences in pay for comparable jobs. Unequal pay for men and women has been illegal for 45 years. We believe that great minds don't think alike, so we're working harder than ever to ensure our organisation offers a rewarding career for people with a range of backgrounds and perspectives. Publishing our pay gender gap will allow others to hold us to account in making that a reality when it comes to how we reward our staff. 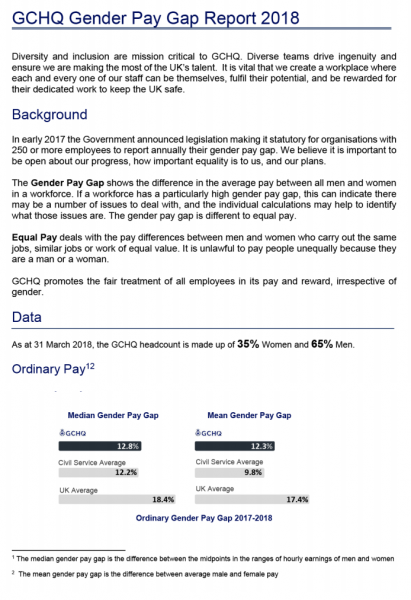 In early 2017 the Government announced legislation making it statutory for organisations with 250 or more employees to report annually their gender pay gap annually. 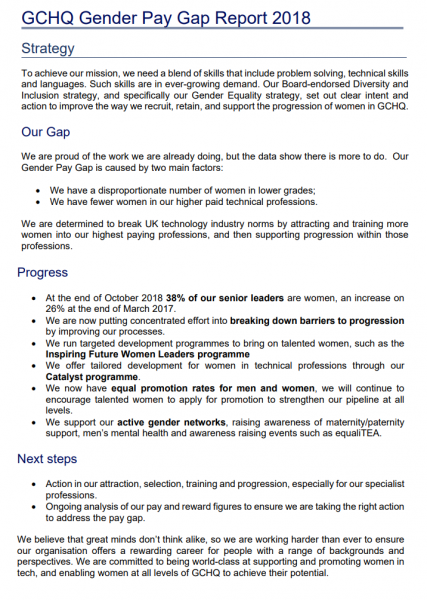 We believe it is important to be open about our progress, how important equality is to us, and our plans. 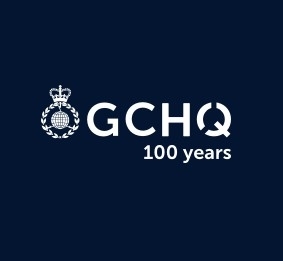 Diversity and inclusion are mission critical to GCHQ. Diverse teams drive ingenuity and ensure we are making the most of our talent. It is vital that we continue to create a workplace where each and every one of our staff can be themselves, fulfil their potential, and be rewarded for their dedicated work to keep the UK safe. GCHQ supports the fair treatment and reward of all staff irrespective of gender. Click on the 'More Information' link below for the full detailed report.